(Natural News) The rising rates of traffic accidents and occupational hazards have made traumatic brain injuries more common. These head injuries damage the brain in such a way that cognitive capabilities are degraded. This cognitive impairment can be improved by taking a plant-based flavonoid called icariin that encourages the production of important brain chemicals. Cognitive impairment is a condition where the patient experiences problems with memory, thinking skills, and other abilities related to cognition. It is often caused by sudden changes in the structures that comprise the brain. 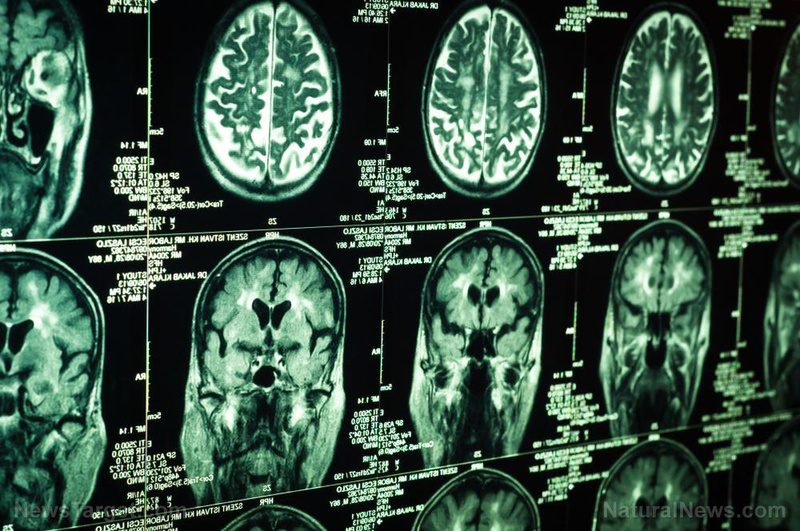 One of the most common causes of cognitive impairment is traumatic brain injuries (TBI). During a case of TBI, the parts of the brain near the impact point are subjected to mechanical trauma. This initial primary damage is followed by secondary injury processes that trigger one molecular change after another. In certain ways, the secondary chemical reactions do more damage than the initial trauma. Icariin is a flavonoid that is commonly found in several species of Epimedium. These medicinal plants are commonly called barrenwort, horny goat weed, or yin yang huo in traditional Chinese medicine. Icariin can penetrate the blood-brain barrier that normally keeps most chemicals out of the central nervous system. It reportedly exerts antioxidant and anti-tumor effects, and it can apparently protect the cardiovascular system as well. Furthermore, it also displayed neuroprotective effects. A 2011 study conducted by Fudan University showed that icariin improved the symptoms of depression and preventing the expression of amyloid beta1-42 in the hippocampus of rats. The same study also suggested that the flavonoid protects against dementia by improving the function of the cholinergic system. A research team from Jiangsu University (JU) constructed a post-traumatic brain injury model using mice. They treated the TBI animals with icariin in doses of either 75 or 150 milligrams for every kilogram of body weight. Treated and untreated mice went through Morrison water tests to determine their level of cognitive impairment. At the end of the 28-day treatment period, samples were taken to measure histone acetylation that improves cognition, as well as other related biochemical changes. The JU researchers reported that TBI mice treated with icariin displayed much better performance than untreated mice. They scored much higher when it came to the Morris water maze, a behavior test that is used to study the spatial learning and memory of rodents. They also demonstrated higher levels of acetylcholine in their hippocampus, higher levels of mRNA and protein levels of choline acetyltransferase, and better protein levels of acetylated histone H3. These chemicals are important for proper brain function. Acetylcholine is the chemical used by motor neurons to trigger muscles. It is synthesized by choline acetyltransferase, an enzyme that takes an acetyl group from acetyl-coenzyme A and adds it to choline. Finally, histone H3 is an important part of nucleosomes wrapped around DNA. It is involved in the acetylation process that produces acetylcholine. Based on their findings, the researchers concluded that icariin could improve cognitive impairment stemming from traumatic brain injury. The flavonoid does this by improving acetylation in the hippocampus, which increases the cholinergic function of this part of the brain. For more articles about the ways icariin and other flavonoids can protect your brain, visit Brain.news.